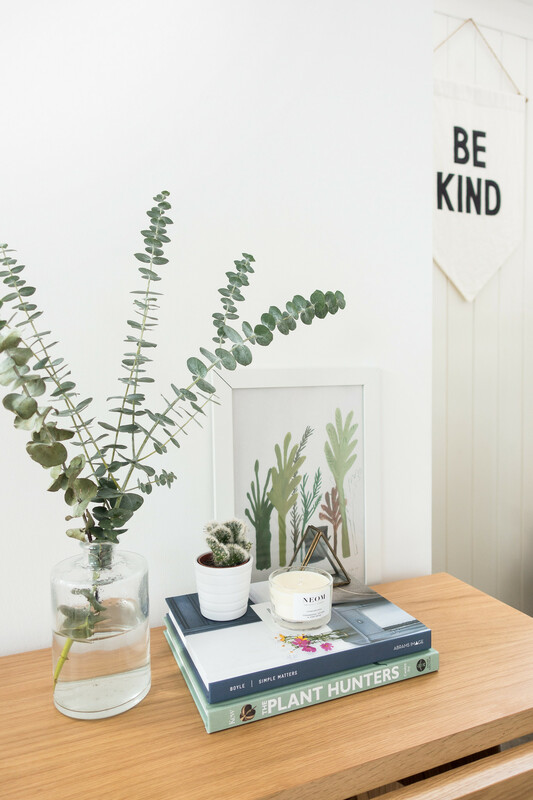 The start of a new year is the perfect opportunity to let go of anything you've been holding onto; any clutter that's built up in your home and all those bits and pieces you've been putting off dealing with. 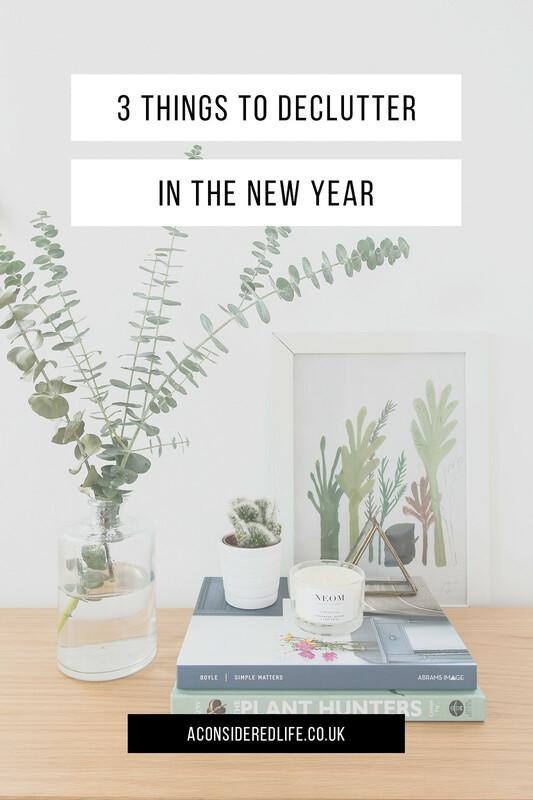 There are three areas I like to focus on decluttering before heading into a new year and it's always so satisfying to finally say goodbye to all that unwanted stuff before January starts. This will come as no surprise but the first place I head to before a new year begins is my wardrobe. I’m not someone who imposes a strict limit on the amount of clothes I own but I do like to make sure I’m not hanging onto unworn or unloved pieces. I tend to do seasonal checks on my wardrobe to make sure I’m wearing everything I own. I find it’s a really useful process for identify pieces I’m not wearing as often as I should, any items that need repairing, and discovering gaps in the form of potential future purchases. It takes me less than twenty minutes to check in with my wardrobe; a quick sweep through the rail and I’m reminded of all my favourites and the ones that I know I need to say goodbye to. I can pull out pieces, try them on in new combinations, and make a promise to appreciate specific items more. I always find decluttering my wardrobe at the beginning of a new year gets me excited about the changing of the seasons, which encourages me to experiment with my style. 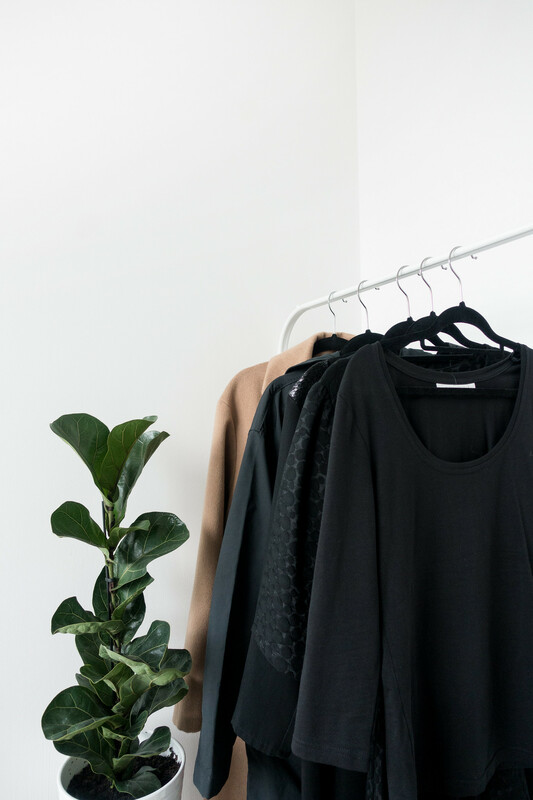 We get so used to seeing our clothes hanging in our wardrobe and become comfortable wearing the same handful of outfits; we forget to really look at each piece and consider how we could style it in different ways. I “threw away” the majority of my makeup over a year ago and have kept a very small collection of beauty products even since. I’ve discovered a minimal skincare routine that works and I stick to (mostly) tried and tested makeup products. It’s really important for me to make sure I’m not over buying or wasting products. Even though I avoid owning more than one of any product and typically use them up before purchasing anything new; some products - like facial oils and lipsticks - can hang around far longer than their shelf-life permits or expire long before I can use them up. Using products that are past their use-by date can cause irritation and damage to the skin, and if you don’t regularly clean the storage they are kept in you can run the risk of spreading germs. I like to empty my beauty storage to give it a deep clean before going through each product to make sure everything is in date and suitable for use. Throwing away products is so wasteful, which is why it’s important to only buy what you need and use everything up before replacing it. I love that feeling of completely using a product up and (if it’s an old favourite) replacing it with a fresh new one or hunting for new products to try. A thorough declutter confirms I’m not overspending on products I don’t need and gives me an opportunity to throw away expired items, clean everything, and start with a fresh make-up bag of beauty products I adore. Digital files are easy to ignore; folders on our computers, photographs on our phones, memory cards, and hard drives - out of sight, out of mind. After months of use, I find my storage is bursting with content and I’m desperate to make some room. 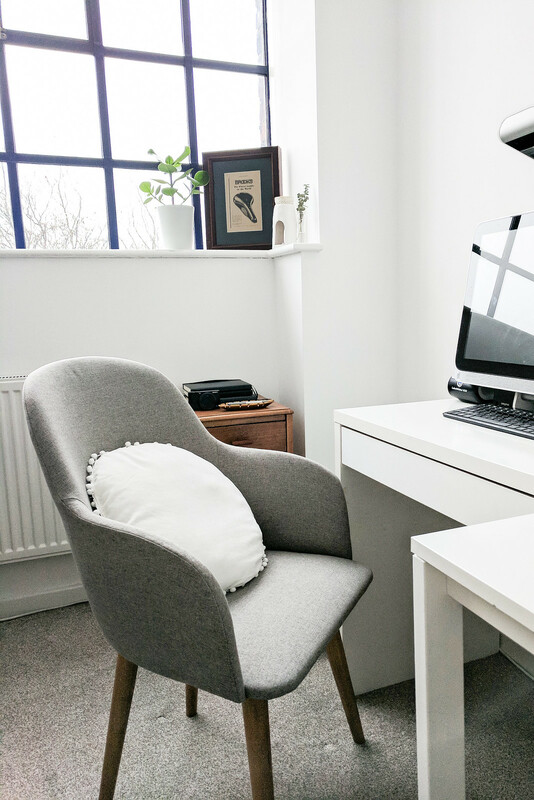 Decluttering digital files is never fun but regaining lots of space for new experiences and memories (and not having to delete photos every time you want to take a new one!) is so refreshing, which is why I like to do it at the beginning of each year. I keep my digital organisation simple (to prevent mind numbing boredom) by backing up any important data and documents to clearly labelled files in storage and I transfer RAW files off my SD cards; all of which is moved to cloud storage so I can free up space on my computers. I uninstall any apps I haven’t used regularly or recently and transfer media files from my phone. I like to empty my eReader of all its books and re-upload a fresh new library. Lastly, I get my inbox to zero by deleting anything I haven’t responded to in over a month, filing emails into corresponding folders, and unsubscribing to any newsletters I’m no longer interested in receiving. Dedicating an hour or two to decluttering your digital files and giving all your technology a sweep is an investment worth making. Technology becomes slow and clunky the more you store on it and freeing up that space gives your digital tools a new lease of life.